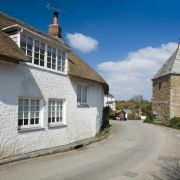 A picture book village, Feock is on the Carrick Roads part of the Fal estuary. 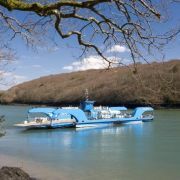 The most interesting way to get here is on the King Harry Ferry. 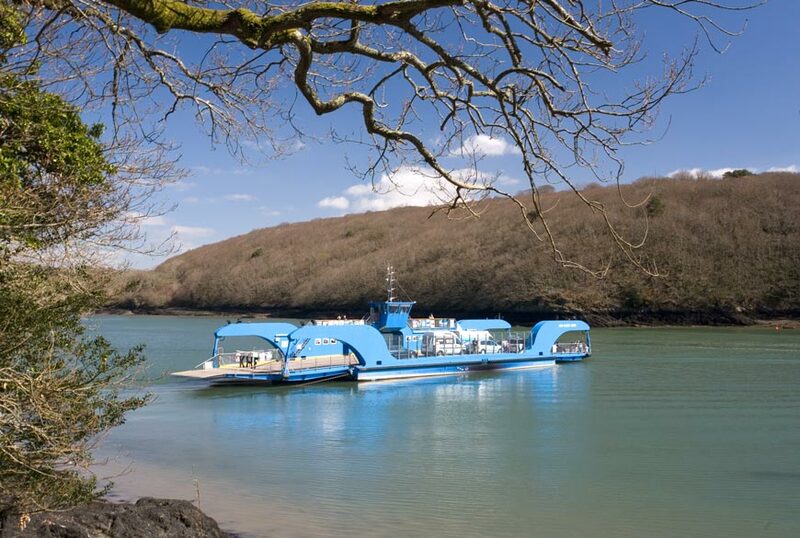 One of the few remaining car and passenger chain ferries in the UK, this takes commuters heading into Cornwall’s cathedral city and tourists alike across the beautiful stretch of water between Philleigh in the Roseland and Feock, near Truro. 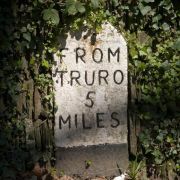 It also saves the 30 mile round trip to the Roseland. 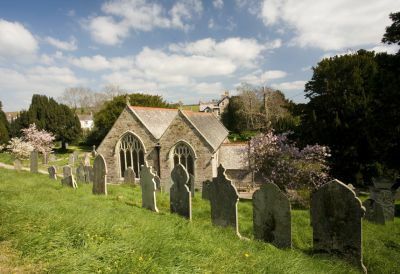 In the centre of the village is the church of St Feoca. 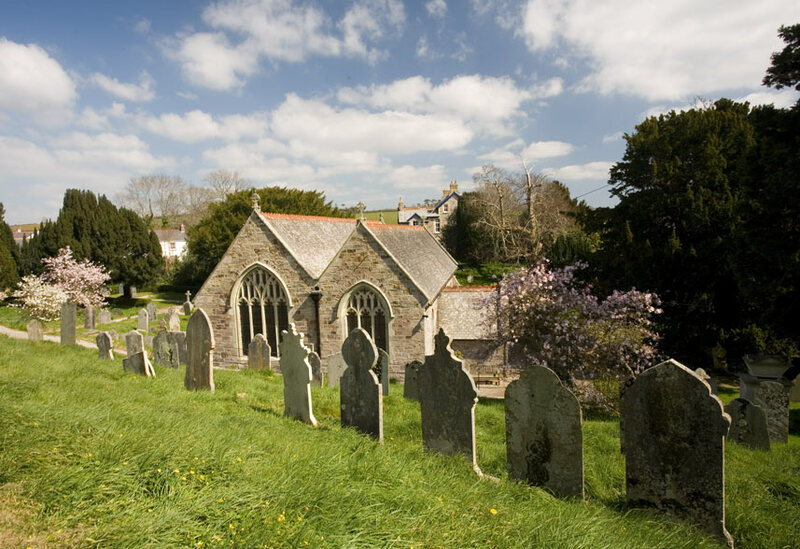 The site dates back to the 12th century but the church was almost completely rebuilt in the 19th century. 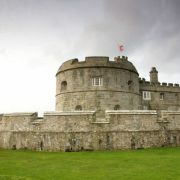 Perhaps its most unusual feature is the fact the tower is some metres away from the main church. 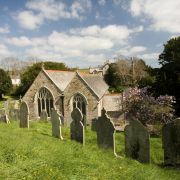 It is reputed to be the last church to conduct its service in the Cornish language. 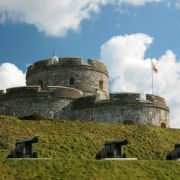 Nearby two historic inns are certainly worth a visit. The thatched 15th century Smuggler’s Cottage once accommodated General Eisenhower, though nowadays serves lunches and drinks in its lovely riverside gardens. 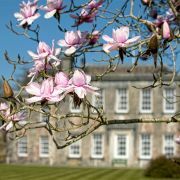 By far the best way to get here is by the thrice daily boat service from Falmouth, complete with commentary on the history of the creeks and elegant houses you pass on the way. Just next door is a decent collection of D-Day memorabilia owing to the fact that preparation for that historic day was carried out here because of the deep waters. 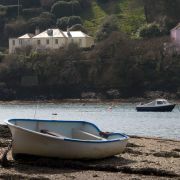 On the other side of Feock, the 17th century Pandora Inn on Restronguet Creek is again best reached by boat if you have your own to moor here, but in any case is an atmospheric place to stop for a pint or food. 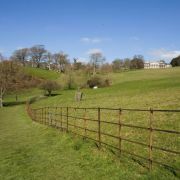 On the edge of Feock is the estate of one of the more stately homes in the area, Trelissick, owned by the National Trust. 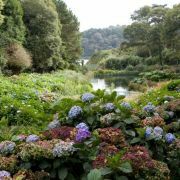 There are beautiful landscaped gardens featuring Hydrangeas, Rhododendrons, Camellias, 500 acres of parkland and riverside woods overlooking the River Fal and Carrick Roads. 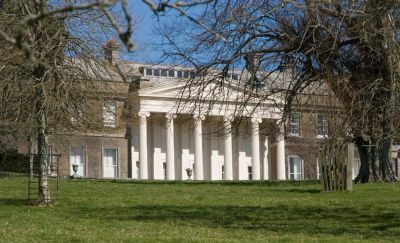 The 18th century house is dominated by a columned portico which was added in the mid 19th century. The 12 bedroom manor house is owned and lived in by the Copeland family and is not open to the public. 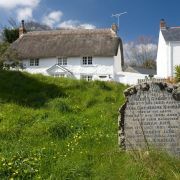 At the quaintly named Come-to-Good crossroads is a beautiful thatched cottage built as a Quaker meeting house in 1710. 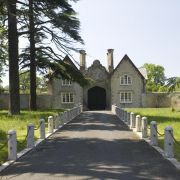 The ‘House of Friends’ even has roofed space for the worshippers’ steeds.